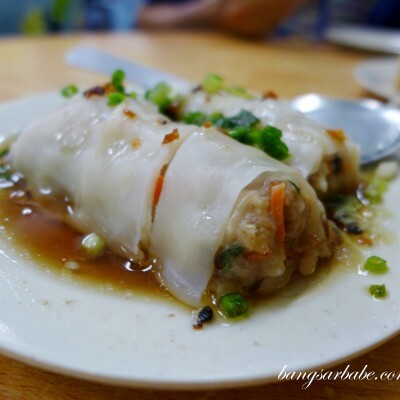 Restoran Kok Siong in Puchong looks like any other Chinese coffeeshop. I only knew about this place when I became a volunteer at the Burmese children shelter in Puchong two years ago. A Mr. Tee mans this nasi kandar stall with the help of three workers. According to him, the dishes here are authentic Penang nasi kandar dishes. 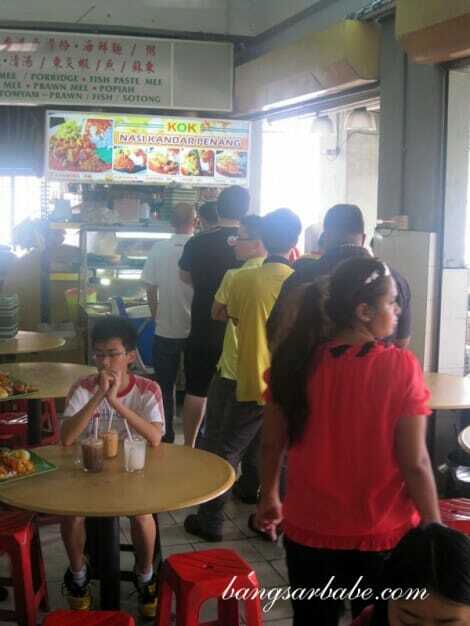 For good nasi kandar, queuing is necessary! I was there with my in-laws on a Saturday and there was already a queue before lunchtime. It could be the location, but the nasi kandar here is more affordable compared to the two stalls in downtown Kuala Lumpur. We shared two fried chicken leg (RM6 each), sambal petai (RM3.50) and mutton curry (RM6). The nasi kandar with telur dadar cost RM5 while the one without is RM3.50. Both came with some ‘kerak’ (also known as fried batter) on top, which gave the rice a crunchy texture. Almost everyone in the coffeeshop was eating the nasi kandar best sellers are the fried chicken and mutton curry. 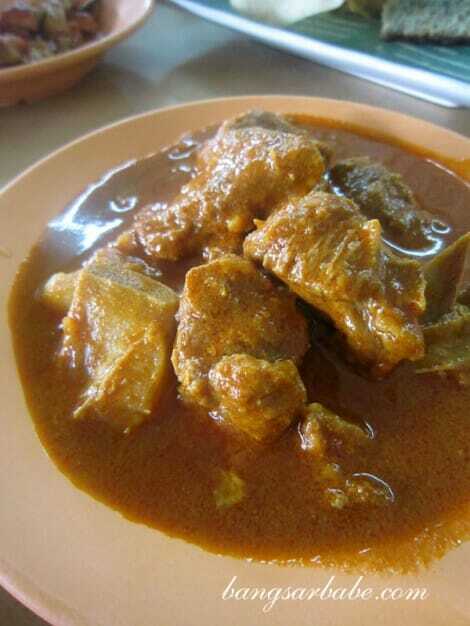 The mutton, cooked in the thick and spicy curry was slightly gamey but incredibly tender. While some people don’t fancy the gamey flavour, I like a small dose of it. Very delicious with the curry laden rice. The highlight of Nasi Kandar Kok is definitely the fried chicken. Check out the crispy bits on that fried chicken! Deep-fried till golden brown, the chicken was crispy on the outside yet juicy and tender on the inside. You can ask them for extra kerak for more kick. 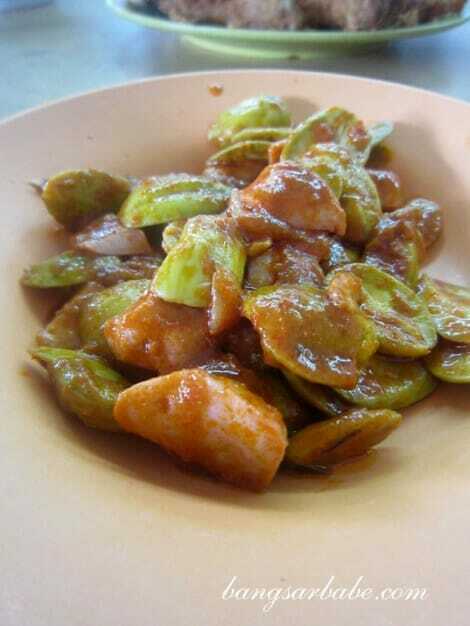 I didn’t care much for the sambal petai and it wasn’t as spicy as I liked it to be. Also, the addition of chopped fish paste made the dish taste weird. Not for me, this one. 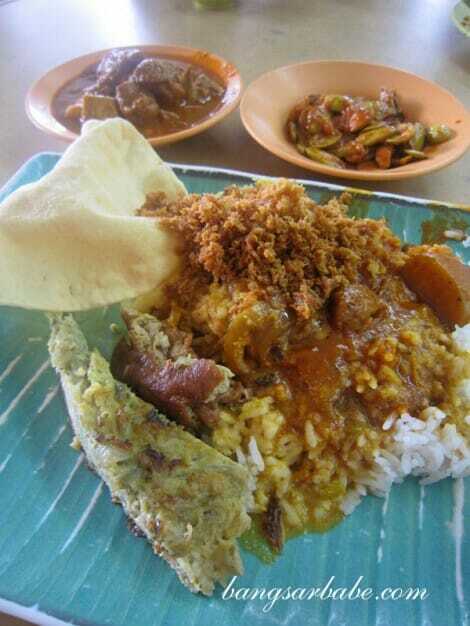 I was very satisfied with my nasi kandar – portion and taste wise. Truth be told, I actually enjoyed this nasi kandar more than the famous nasi kandar stalls in Jalan T.A.R because the curries are more flavoursome and the chicken is fresh out of the fryer. A quick chat with Mr. Tee revealed that he has been operating his nasi kandar stall for 11 years. *Also read my column on Nasi Kandar places here! Verdict: Next time you’re craving Nasi Kandar, skip the KL jam and head over to Puchong for this! 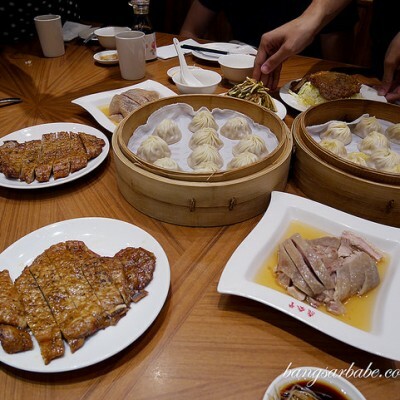 hmmm a lot of d boss behind d indian/mamak restaurant is chinese…. I definitely will go n try ….. d crispy chicken looks so delicious..
Sambal petal with fish paste .. first time i heard abt it…. What a let down, Bangsar Babe, this girl knows nuts about nasi kandar, goodness the sotong was overcooked, no daging masak kichap, no curry ikan bawal hitam, no nasi kandar taste, biggest crap… Regret like hell. 2 overcooked sotong,1 piece of fried fish, fried cabbage ..RM 13.00 damn expensive… For god sake bangsar babe… Go to Pelita Danau Kota PV 128 ,that is nasi kandar… Rubbish, con job..